These special angel cards are made from smart-looking recycled paper. The angels comes in different colours and are detachable – making it a perfect little ‘extra’ which can hang in a window or decorate the Christmas tree – reminding a friend or a loved one of the care you are showing them. The card comes with a blank sheet of paper for a personal greeting and an envelope. 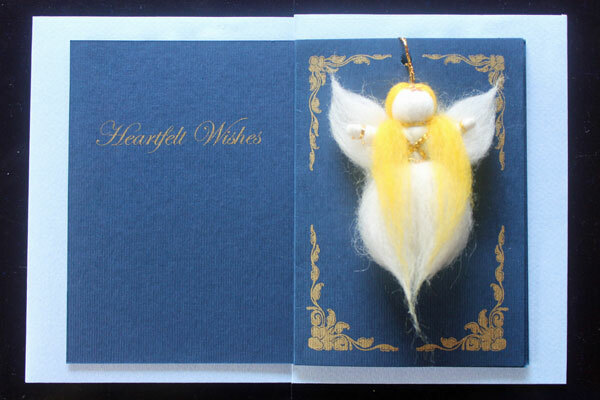 Angels are made from 100% sheep’s wool and cards from recycled paper.